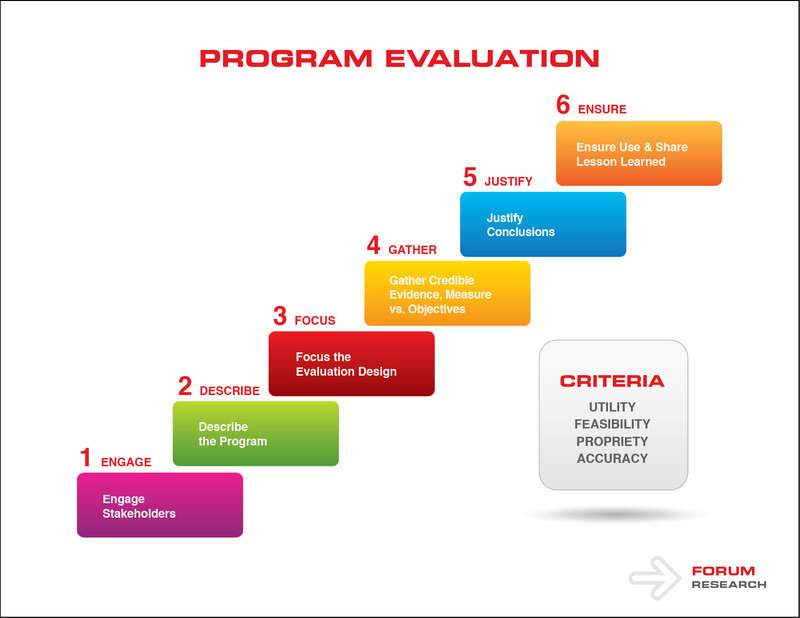 Program Evaluation < Market & Consumer Research < Services < Forum Research Inc.
At Forum Research, program evaluation involves a systematic method for collecting, analyzing, and using information to answer questions about projects, policies, and programs, particularly about their effectiveness and efficiency. In both the public and private sectors, Forum Research's clients want to know if the programs they are funding, implementing, voting for, receiving, or objecting to, are actually having the intended effect. However, equally important to our customers are questions such as how the program could be improved, whether the program is worthwhile, whether there are better alternatives, if there are unintended outcomes, and whether the program goals are appropriate and useful.